If you have drive, an entrepreneurial spirit, and already have the ideal skill set of currently being a painter, then starting a painting business may be a smart career move. Instead of working for someone else, you will be your own boss. You enter an industry that is always in demand. As an added bonus, you get to witness the beauty and transformation of your finished product. Starting a painting business is extremely rewarding and can be profitable if you use the right processes, people, and technology. Startup Costs: The startup costs for a painting business can be low or high depending on your business focus. For example, if you live in a area where there are many older homes which may have been painted with lead paint, then the equipment needed for these homes will be much more costly. If your focus is interior residential, you may only need to cover initial materials for your first job, including brushes, rollers and other equipment. Specialty Focus: Different painters focus on different types of jobs, and when you are starting a painting company, depending on your level of investment and experience, targeting a niche market or specialty may to worthwhile. Generally speaking, paint jobs fall into one of three categories. New Construction: These jobs have the lowest barrier to entry, with very high profit potential, if you estimate the job correctly. There is a lot of competition for this type of work, but there are more jobs available. Older Existing Structures: When you work on these types of jobs you may run into some problems, which need to be considered. Prior to 1978, it was common to use lead paint in older buildings and homes, so including these structures in your target market can be a major issue unless you have the finances to purchase the necessary equipment. Environmental regulations, safety consideration, and special equipment will drive up your costs. 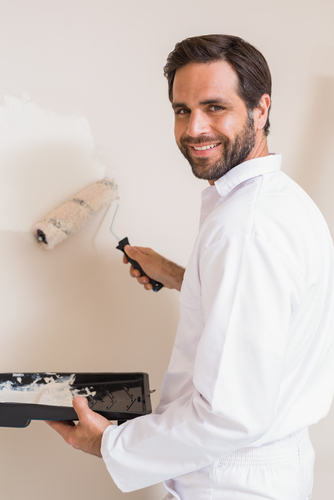 When starting out, it may to better to leave these jobs to the more experienced and established painting companies. Commercial versus Residential: Choosing to focus on commercial versus residential will impact all areas of the business including start-up costs, hiring employees versus sub-contractors, insurance, and many other considerations. Environment: If you choose to take on lead jobs then adhering to all regulations and best practices is critical to protect the environment and ultimately your business. Even with non-lead jobs, it is vitally important to not leave paint behind to hurt the environment. The paint industry is geared to green products and there are centers all over the U.S. for paint removal. For example, Sherwin Williams will safely dispose of any paint can or stain as long as they are still labeled. As with any business, using the right people, the right technology and the right processes from the beginning puts your company on the road to success. When you are starting a painting company you need more than just paint and equipment, you need a suite of software to help you manage customers, create professional estimates, and track your finances. PEP Cloud is a full suite of tools to help professionally manage, operate, and financially track your business. PEP, LLC presents PEP Cloud and PEP Cloud PRO as the leading edge estimating and business management cloud-based software program designed by a painter, for painting contractors. PEP Cloud is a strategic business tool that guides you in constructing a professional, legally binding proposal and contract for your clients which is quickly and easily delivered electronically for the convenience of all parties. PEP Cloud PRO, is designed to aid you in keeping your business organized, allowing you to easily track your jobs and clients, manage your employees, and correctly calculate your fees and expenses of all jobs, so you can achieve consistently the profitability you require. PEP Cloud and PEP Cloud PRO will help take your business to the next level and demonstrate the professionalism you desire for your company. Call us to schedule a demonstration of PEP Cloud and PEP Cloud PRO painting management software or sign up here to show you how starting a painting business is done with PEP Cloud and PEP Cloud PRO; and why it is critically important to do it right for the profitability of your painting business.